While in San Diego, California at this year's Comic-Con, John Cena confirmed an upcoming heel turn. Kind of. 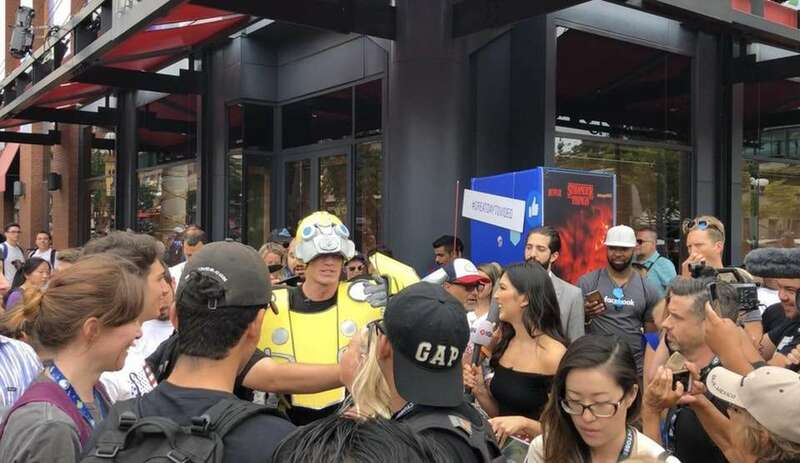 Cena was at the yearly event promoting an upcoming film, Bumblebee. In fact, Cena was walking around the convention center early in the day on Friday wearing full attire from the film, crawing quite the crowd in the process. One of the interesting things about this upcoming film is that John Cena takes on playing a villain, or day we say, a heel. In the wrestling world, fans have craved a Cena heel turn for years. Though we aren't likely to get that at this point, fans will get to see Cena finally in a role where he isn't playing a cookie-cutter good guy in Bumblebee. The contrast of the character Cena plays in this role versus his typical movie roles and WWE's persona brought about an interesting quote from Cena at Comic-Con (relayed to us by ComicBook.com's Dallas Jackson). Cena was asked, "What is it like going from a hero like Ferdinand, to a cold hearted villain?" While we did see a heel John Cena early on in his WWE career, it's been a long time since we've seen him play the villain. Bumblebee will be released on December 21st and is your chance to see the WWE star on the heel side once again.